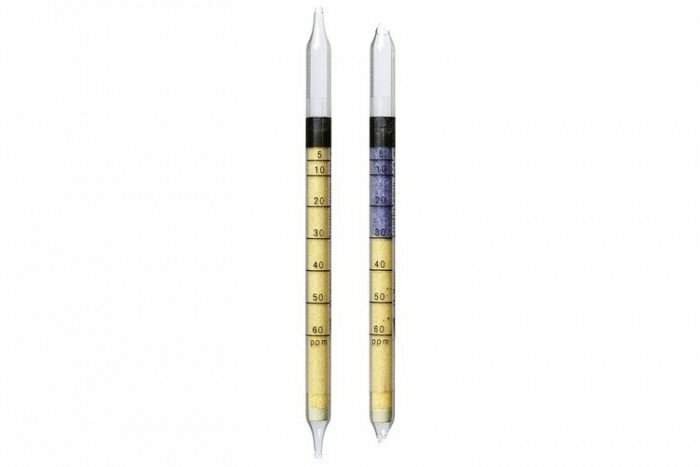 Drager Short Term Detection Tubes: Detects a range of substances incl. Aminobutane, 1- Aminopropane, 2- Aminopropane, n-Butylamine, Dibenzylamine, Dibutylamine, Diethylamine, Diethylenediamine, Dimethylamine, Dimethylaminopropylamine, Dimethylcyclohexylamine, Dimethylethanolamine, Dimethylethylamine, Dimethylisopropylamine, Ethylamine, Isopropyl Amine , Methylamine, N-Methyldiethylamine, Tributylamine, Triethylamine, Trimethylamine. Other basic substances such as organic amines and ammonia are indicated, but with different sensitivities.